OST PST Viewer is a free emails viewer. If you want a free software to view PST files, this PST email viewer is what you are looking for. PST is also known as Personal Storage Table is Microsoft Outlook file format, in which information about Contacts, Calendars, Emails and other data from Outlook is stored. You don’t need to have Outlook installed to use 4Team Outlook viewer. 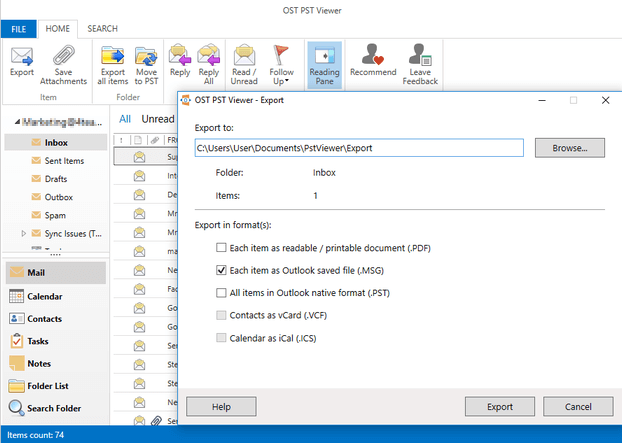 OST PST Viewer is a user-friendly Microsoft Outlook PST viewer. The user interface is similar to Outlook, so you don’t need to learn how to use it. Clear and simple design with powerful functionality. 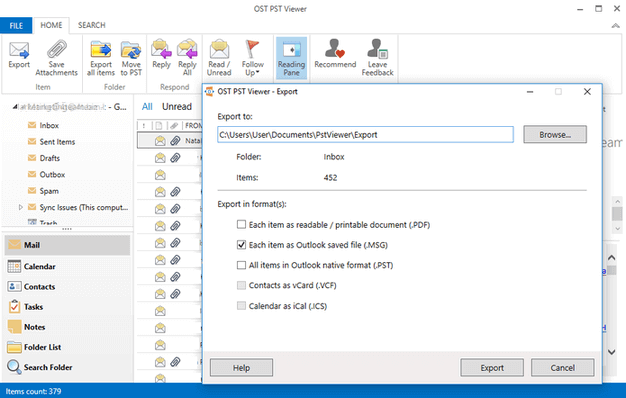 PST file viewer is the right tool for users who have lots of PST files and don’t want to connect each of them to Outlook. How to view PST files? 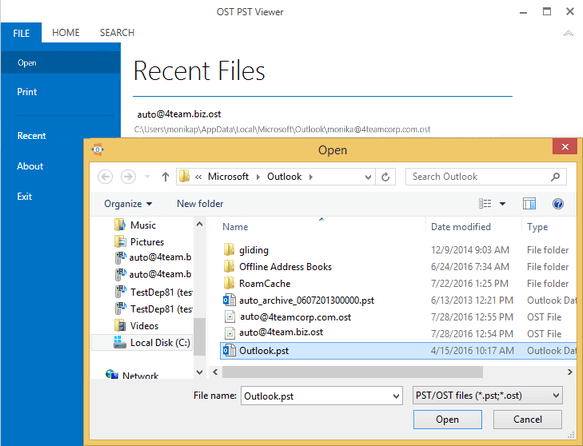 Using OST PST Viewer view PST files is as simple as opening any other document. Just click the “open” button in the file menu and choose a PST file. That's it. No more slow and difficult process of connection to Outlook. With our free PST viewer, you can search through your PST files easily.